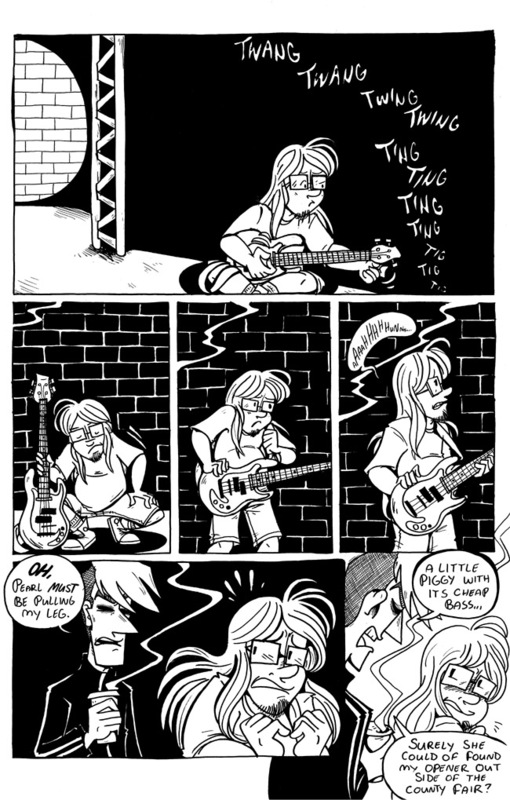 Oh Lars, why are you so kawaii with your tiny, badly draw bass guitar? Sorry this page is late, I’ve just been knocked out of the swing of things, and I hope to get back in it for a Sunday update this week. Need to have this chapter wrapped up before Halloween! Oh Lars! Come to my bosom! I shall shield you from those ruffians! It’s not what you’ve got it’s how you use it that counts. Jerk.